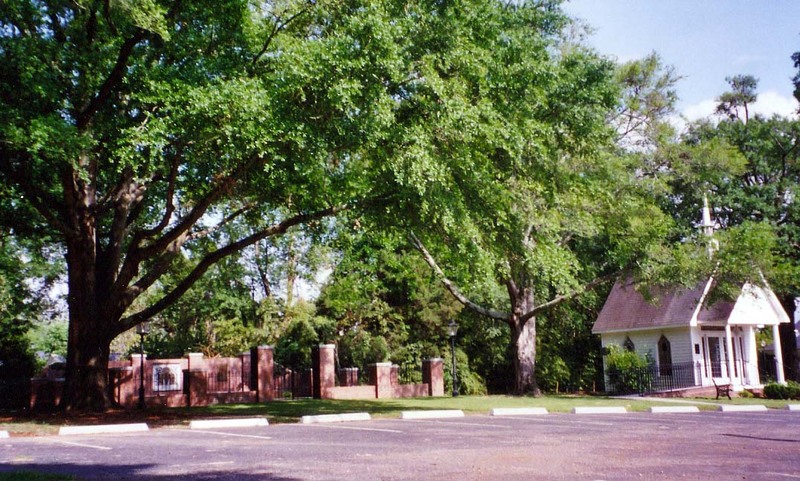 The Garden of Peace at Bethesda Presbyterian Church provides a resting place for the cremated remains of deceased members and their families. A scattering and covering area ia available for ashes and a separate designated area for in-ground placement of urns containing ashes. Wall mounted bronze plaques display the names of those whose ashes have been spread, buried or deposited in urns. Names and years of birth and death are memorialized on the plaques. For those deposited in urns, in-ground granite markers will be placed at the site. Long range planning surveys identified the need at Bethesda for a special place to serve as the final resting place for cremated remains of deceased members and their families. A committee was formed, a proposal was developed and approved by the church, and Bethesda's Garden of Peace was built adjacent to the Hammet Chapel in a peaceful setting toward the back of the church grounds. Construction funding was from donations and pre-need reservation fees. Much of the construction labor was performed by members of our church. The Garden of Peace dedication was held Sunday, April 26, 2009. A bronze memorial plaque displays names of all whose remains are deposited there. In addition to having a garden spot for scattering or mixing cremains into the soil, there are 308 small plots reserved for in-ground placement of urns. The garden features wrought iron gates and fencing, brick wall with bronze memorial names tablet, benches, a vintage bronze bas-relief sculpture depicting the risen Christ plus two angels, and a small granite water feature. The Hammet Chapel provides a close gathering place during inclement weather. Members, former members, pastors and former pastors of Bethesda; their spouses, children, grandchildren, step-family members and parents: and others by decision of Bethesda's Session. An agreement form must be completed prior to using the garden for placement of ashes or obtaining recognition on a memorial tablet. HOW MAY I GIVE SUPPORT? Consider if the Memorial Garden might have a place in your personal planning. Make a donation which will ensure perpetual care of this special place.